An very detailed walkthrough of implementing a networking protocol (NDP in IPv6) in Go, with many, many code snippets. Matt Layher (@mdlayher, talks) is an engineer at Digital Ocean. 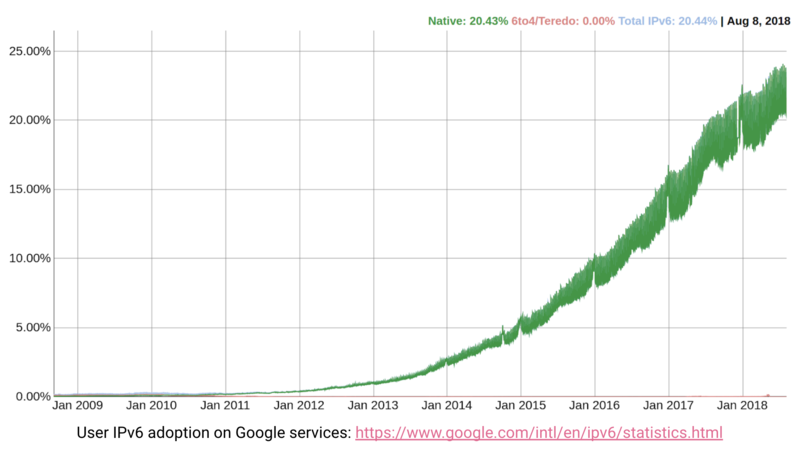 How is IPv6 different from IPv4? A: Who has “B”? Tell “A”. B: “B” is at “04:18:d6:a1:ce:b7”. Your operating system usually handles NDP; why is it useful for Go programs? How do we go from bytes to a complete NDP package? // A Message is a Neighbor Discovery Protocol message. // Type specifies the ICMPv6 type for a Message. // Called via MarshalMessage and ParseMessage. // Determine ndp.Message from ICMPv6 type. // Unmarshal ICMPv6 data into ndp.Message implementation. // The ICMPv6 header is fixed length. // Select the correct ndp.Message type based on ICMPv6 header. // Unmarshal remaining bytes into correct ndp.Message type. // An Option is a Neighbor Discovery Protocol option. // described in RFC 4861, Section 4.3.
net.IP interface? net.IPv4 and net.IPv6 types? 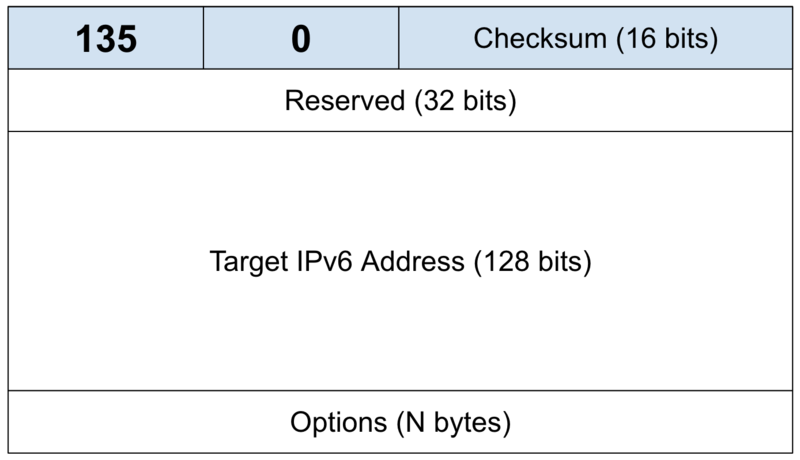 // checkIPv6 verifies that ip is an IPv6 address. // To16 returns nil when ip is not a valid IPv4/IPv6 address. // To4 returns non-nil when ip is an IPv4 address. // Only accept IPv6 target. // Allocate enough space for base message. // Append any option bytes. Simplicity wins - allocating is okay! // Code specifies the NDP option code for an Option. // Called when dealing with a Message's Options. // marshalOptions marshals Options into a single byte slice. // parseOptions parses a slice of Options from a byte slice. … and more! If we implemented all of them, our API could bloat quickly! It directly exposes the TLV fields, so code outside this package can pass options that aren't defined in this package. If a particular type of option is used often enough, we can add first-class support for it later. // A RawOption is an Option in its raw and unprocessed format. // Unknown Options can be represented using a RawOption. Possibility of a panic taking down your program! Throws arbitrary bytes at your parser and finds crashers! // Fuzz is an entry point for go-fuzz. return 0 // Invalid, not interesting! return 1 // Valid, interesting! Write a test, fix the bug, and repeat! Let's implement the struct that represents an NDP connection. golang.org/x/net is designed for advanced use-cases! // Open raw ICMPv6 listener on eth0’s link-local address. // Write bytes to the specified target. // Dial IPv6 + ICMPv6 connection. You can also use Go to troubleshoot any difficulties your ISP has with IPv6. Build tools to solve real problems on your network!